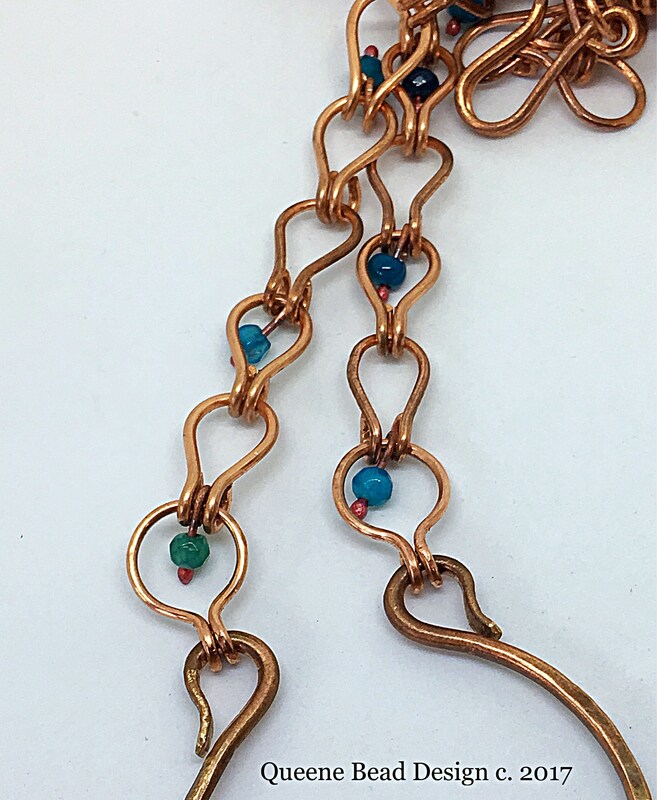 I handmade this long copper chain with 18g bare copper wire. 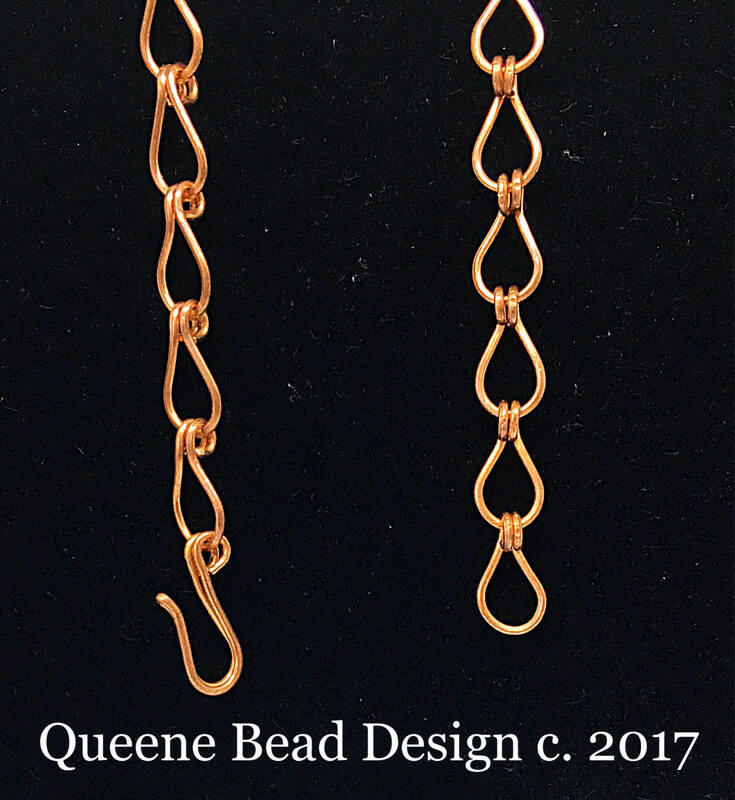 I used a heavy gauge copper wire to make the beautifully curved bail/charm colder. 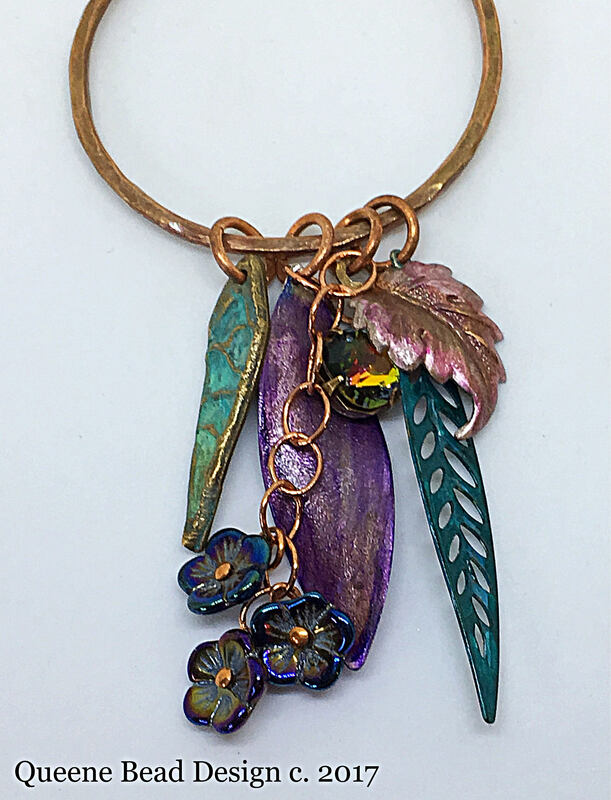 The charms were chosen to compliment each other. The theme of leaves and flowers. And a bit of sparkle from a Swarovski crystal. One charm by Vincent Cav. 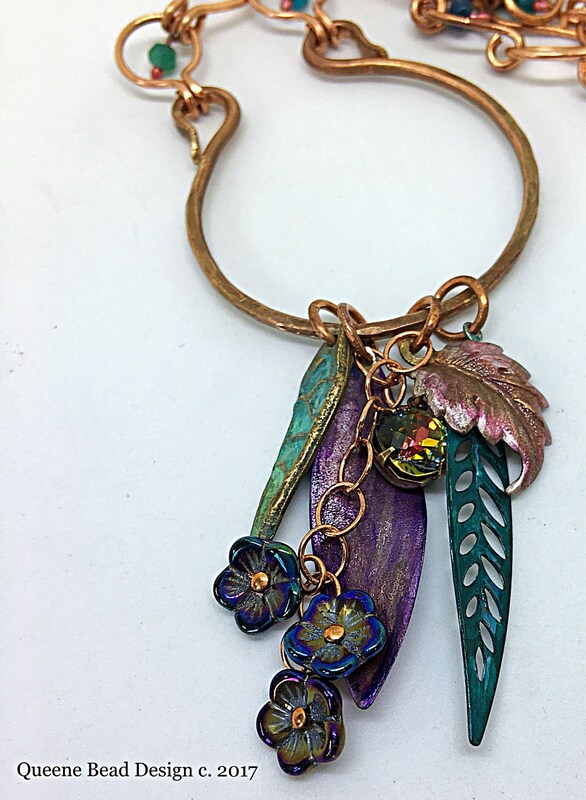 I altered three charms by painting them with Vintaj patina and alcohol ink. 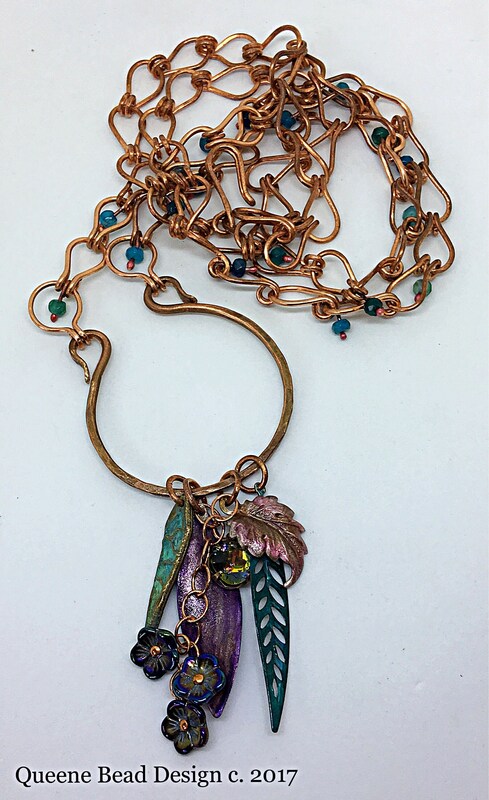 I then added some pretty flowers on some copper links. I finished with making balled headpins and adding a tiny apatite beads, to swing among some of the links. This necklace is very long, 30". I can easily add links or take some away to make this gorgeous necklace shorter. Please convo me! I'm always happy to help.